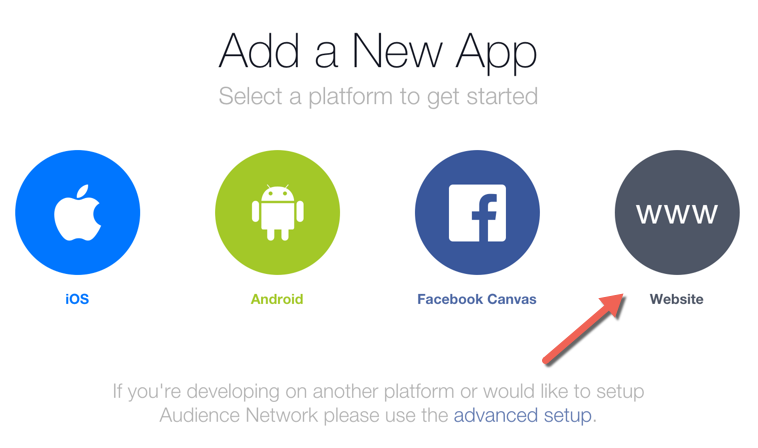 Are you installing a new Facebook-related WordPress plugin & need to enter Facebook App ID & secret key? I realized this was one issue that many of you might be facing due to recent changes in Facebook’s API. In this tutorial, you will learn how to use Facebook developers page to create a new app & get your own Facebook App ID & Secret key. These are simple steps that can be followed by anyone without the requirement of being a developer. So if you are configuring a Facebook related WordPress plugin or using a 3rd party app which requires Fb Secret Key & ID, this tutorial would be of great help. Select the kind of app you are using. For configuring WordPress plugin, it’s usually websites. On the next page give a name to your app. Make it relevant or if you are testing this right now, call it test app. Click on Create new Facebook App Id. In the pop-up select the category for the app. Click on create app ID. On the next page click on Skip at the top right & you will be taken to your created App page, where you can retrieve your app id & secret key. Click on show in front of App secret, and you need to enter your Facebook account password to see the App secret key. Now copy-paste the App ID & App secret values in the plugin or tool that you are configuring. In my case, I was configuring Facebook Albums plugin & it worked flawlessly after pasting the values in the plugin settings. I hope this quick guide would help you when in need to configuring any Facebook related plugin on your blog.